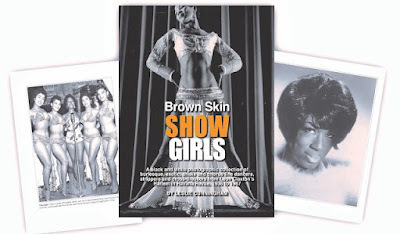 Don't wait for the film...See the BROWN SKIN SHOWGIRLS now! Support the film project and be one of the first to receive Brown Skin Showgirls: A black and white photographic collection of burlesque, exotic, shake, salsa, rumba and chorus line dancers, strippers and cross-dressers from Leon Claxton's Harlem in Havana Revue, 1936 to 1967. This book is guaranteed to expand your knowledge of Black and Cuban performers that shaped American popular culture. Get ready to be titillated! A portion of the proceeds will help to complete this film project.